available today. Request a Quote by clicking here. teach you all about the New Reverse Mortgage – Free Lunch Too! Reverse mortgages are our specialty. Based on our reviews and ratings, it is easy to see why we are the go-to choice. 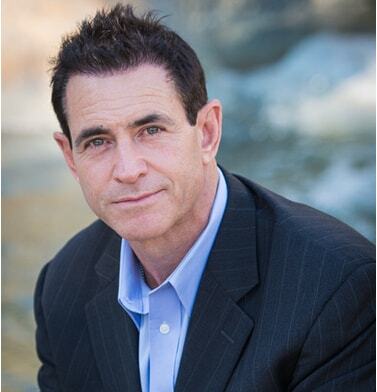 Our specialized team of experts know that taking out a reverse mortgage is an extremely personal process. As such, we always strive to put your needs first. By focusing on our clients’ needs, we are able to effectively streamline the lending process, which ultimately reduces our costs and saves you serious money! Additionally, this commitment means that we are always finding ways to make sure you are paying the lowest amount possible, while yielding the highest returns from your home equity. Our goal of giving you the best service possible is exemplified by our customer service team. As our reputation attests, we strive for excellence in every way and promise to serve you with the utmost care and integrity. As such, we are always here to address any concerns you may have. Your concerns are our concerns! 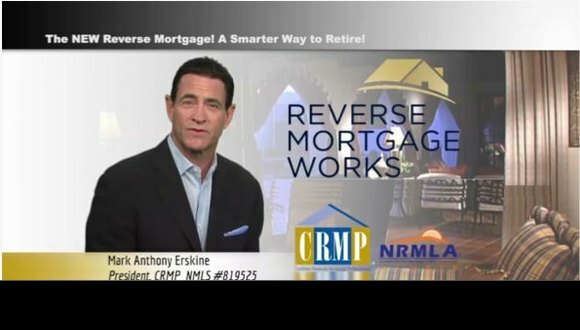 If you are new to reverse mortgages , Start Here! A reverse mortgage is a specific type of loan taken out against your home that subsequently allows you to convert a specific percentage of your equity into tax-free money without the additional burden of monthly loan payments. They are ideal for people who do not plan on moving, who cannot afford day-to-day maintenance costs, or want to use their home equity to pay an incurred cost or create a financial reserve just in case they need it. One of the advantages of a reverse mortgage is that nothing is due until the owner permanently moves, sells their home, or passes away. However, they are still required to pay both property taxes and homeowner’s insurance. Also, an important fact to keep in mind is that reducing the equity in your home ultimately lessens the overall value of your estate, meaning you will have less to leave behind to your heirs. For this reason, it may be beneficial to check into alternate sources of income prior to taking out a reverse mortgage. Reverse mortgages were conceived to help homeowners much like yourself by allowing them to access their equity in order to optimize their golden years. They received their name due to the fact that under the terms therein the lender pays the borrower in accordance with a specific percentage of the home equity, rather than the borrower paying the lender (as would be the case under normal circumstances). Remember, as the borrower, you are not required to pay the loan back unless your home is vacated or sold. Even better, as long as you reside in the home you will not have to make monthly payments on the loan balance. One of the homeowners must be 62 or older. The home in question must be the primary residence. The home in question must be one of the following: a single-family home, a two/three/four unit home, approved manufactured house, pre approved condominium, or a townhouse. Applicant is required to attend a HUD-certified counseling session, which is conducted in person or via phone. Applicant is required to pay homeowner’s insurance and property taxes. Failure to comply with this step could lead to a demand for immediate repayment of the entire loan amount. In order to be eligible, a borrower must own their home or have a low enough mortgage balance that they could immediately pay it off using funds acquired from the reverse loan. Additionally, this home must also be the borrower’s main place of residence. When it comes to how you plan to use the money, know that there are no restrictions on how you can choose to do so. Lump sums work best for fixed interest rate mortgages. With this payment option, the borrower can immediately access all of their funds. Also, borrowers can select the amount of equity they want to expend. One way this may come in handy is if the borrower wants to take out less funding than the amount they are qualified for. However, keep in mind that you may need to refinance if you need more money in the future. Opening a line of credit is a wise decision for those who do not require their funds immediately, but would like access should they need them. It is the most widely used option. Typically, a borrower will build a standby credit line that they are able to access whenever they need money. Additionally, opening a line of credit means that your unused balance will grow exponentially, greatly improving your ability to borrow in the future. For home purchases are when the funds from a transaction are used to purchase a new home. This effectively eliminates the need for monthly mortgage payments, as the transaction is paid for with the sum of the funds yielded from the sale of your home in conjunction with alternate sources of income and the proceeds acquired from the reverse mortgage. Both this and credit payments are more suitable for adjustable interest rate mortgages. One of the greatest aspects of a reverse mortgage is that you can never owe more than what your home is valued at, regardless of how much money you were loaned. If the balance is under the current value of your home when repayment is due, then the difference goes to you and/or your family. Despite the obvious pros, taking out a reverse mortgage is a serious decision that requires a lot of time, reflection, and consultation. Before taking the plunge, make sure that taking out a reverse mortgage is the right step for you. For example, if you need a short-term loan, you may want to consider an alternative form of financing in lieu of paying the impractical closing costs that result from taking out a reverse mortgage. However, if you want to remain in your home but require extra money in order to do so, you may want to look into an Equity Conversion Mortgage. Should you have specific questions regarding what step to take next, Reverse Mortgage Works is here to help you out. Located in Palm Desert, California, we are helping more retirees than ever supplement their income, keep their homes, and use their equity without having to sell it outright. Our customer service staff is ready to assist you with any concerns you may have. You can only take out a reverse mortgage after completing a mandatory counseling course, which can be done in person or over the phone. First, the counseling agency will examine your specific financial situation so as to consider any alternative options that could be available to you. Potential alternatives include city or state grants, downsizing, and more. Also, do be aware that counselors are mandated to ask all potential borrows about their income, outstanding debts, assets, and living expenses. After they obtain this information, they will compile it into a budget analysis. Once this is done, you will receive a certificate indicating that you have completed the required counseling. All you have to do now is sign it and return it with the rest of your loan application. If you need a referral, we can provide you with a list of 10 or more counseling agencies, with the inclusion of 5 specific agencies mandated by the FHA. After receiving your application and certificate of completion, we will begin processing your loan. Please contact us or check out the many resources available online if you need to find a HUD-approved agency in your vicinity. You are probably curious about how much money you can receive after taking out a reverse mortgage. The first thing you need to know is that the total amount is based on three specific factors: the current rate of investment, the value of your home, and your age. Other factors include the age of the youngest borrower/non-borrowing spouse, whatever the current interest rate is, and the lesser of either the appraised value, the HECM FHA limit ($679,650), or the total sale amount. If there are multiple borrowers but not a borrowing spouse, then the age of whoever is younger will be what is used to determine a borrowing amount. If you have specific questions regarding your home equity do not hesitate to contact our team at Reverse Mortgage Works, located in Palm Desert, CA at 760-424-8058. JOIN US – LUNCH IS ON US!